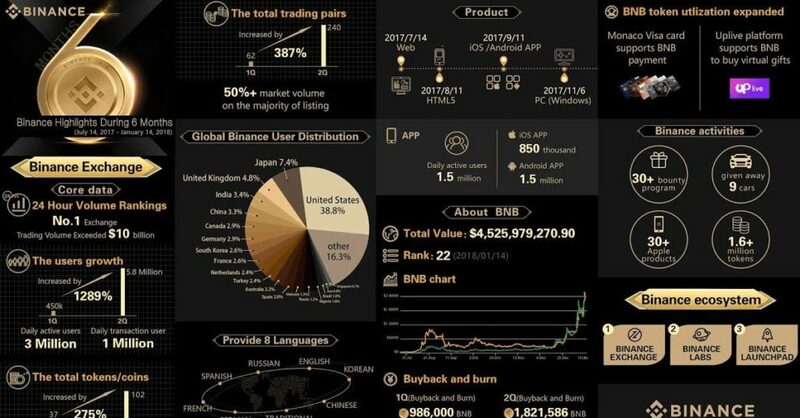 In the Binance Exchange Review 2019 you will find the most important information about binance exchange platform, historical and numerical data. Most importantly, you’ll learn about investment plans of binance crypto exchange. The Binance Exchange has been operating since 2017. The original headquarters was Shanghai. Then the stock market moved to Hong Kong and finally stay on European Malta. The reason for such a journey is to look for the most favorable legal jurisdiction. When it comes to legal regulations for the exchange of cryptocurrencies, Malta is the best choice at the moment. After less than half an activity, the platform entered the top of the world cryptocurrency exchanges. Over the next few months, it became the industry leader with a daily volume of over one and a half billion dollars. Admittedly, it’s really an impressive achievement. The more so because the competition on the market of cryptocurrency exchanges is very large. If you do not have an account on binance exchange platform, we encourage you to read our binance guide. If you already have a binance exchange account, you can visit the tutorial on how to buy a specific cryptocurrency. 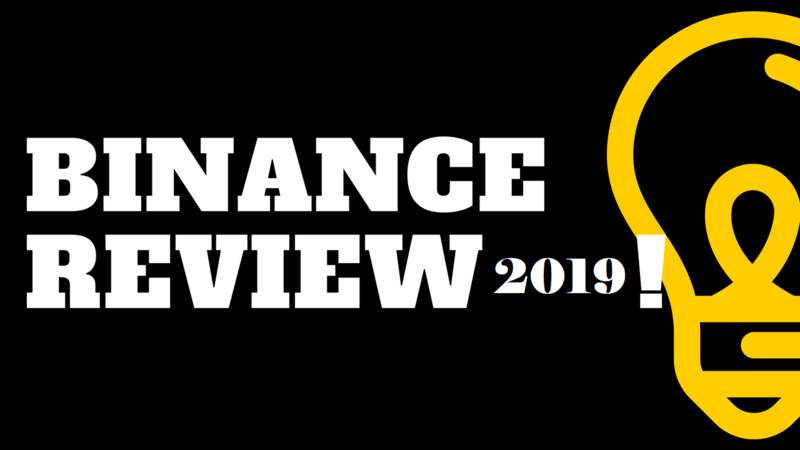 We strongly encourage you to share our Binance Review 2019 on facebook or on twitter. In this Binance Exchange Review 2019 article,You can find the most important information about the Binance Exchange itself and related projects. The Binance Stock Exchange is one of the fastest growing startups and one of the few that have reached the value of over one billion dollars. I mean the whole activity, not just the cryptocurrency industry. Rapid development is the result of trouble-free operation and very clever marketing moves of the management of binance. Prizes for the best traders, lack of verification and allocation of bonuses due have encouraged many people to open an account. In addition, this exchange has many positive binance reviews on the internet. The news about the new, very professional stock exchange quickly spread in the environment, and the Binance Platform gained a large group of users. Despite cryptocurrency turbulence in China, the binance stock exchange works without problems because most of Binance users come from outside China. According to the data available on the Binance Exchange website, there are already eight million users registered from around the world. The Binance Stock Exchange offers approximately 150 cryptocurrencies. This number is variable because new ones are coming all the time. On the list you will find the best known altcoins. You can trade in four markets on Binance: Bitcoin (BTC), Ethereum (ETH), BinanceCoin (BNB) and Tether (USDT). Transaction commission is 0.1% with the possibility of reduction to 0.05%. There is no verification on Binance for payments up to 2 BTC. On the right side you can see the order sheet and real-time transactions. At the top, you can select currency pairs and go to your user account. Below is the form used for transactions. The founder and CEO of the Binance exchange is Changpeng Zhao. A character with huge experience in managing projects operating in the cryptocurrency industry. He co-founded blockchain.com, the largest online wallet provider and the OKCoin exchange. Born in China. In the eighties, he moved to Canada, where he obtained IT education. After graduation, he worked for the Tokyo Stock Exchange and created stock software for the Bloomberg Tradebook broker. Changpeng Zhao is a supporter of the original vision of cryptocurrencies. Unlike many pseudo experts, he has seen the future of the industry in decentralization. But he is not a supporter of new regulations. The Binance core is a very efficient engine. Thanks to it, Binance can process nearly two million transactions per second. Tools and charts do not get stuck, and buy and sell orders work smoothly. It seems obvious, but technical problems are a big obstacle to cryptocurrency exchanges. Many of them, especially older ones, are not able to handle large numbers of users. This may result in failure to complete all set orders. In periods of long-term increases, when cryptocurrency rates reach price peaks, some exchanges can not even be logged. However, If you do not have enough funds to invest in binance, you can take advantage of the easy way to get cryptocurrency completely for free. Just click the button below & check how to claim a free BTC, LTC & the other altcoins without spending money. Start Earning Cryptocurrencies For Free ! If the Binance Review 2019 is useful for you, share it with others on facebook. In this Binance Exchange Review 2019 you could certainly find basic information about the binance exchange service. If you are considering buying a specific cryptocurrency or ERC20 token based on the ethereum platform, we would like to encourage you to read the Guide On How To Buy EOS.